While thereafter working in the City he maintained his contacts with MI5, SIS and Naval Intelligence as well as having contacts with newspaper proprietors and leaders of the Conservative Party. He was also a director of a company promoting White Russian interests. He came to play a crucial role in intercepting the 'Zinoviev letter', which led directly to the downfall of the first Labour government of Ramsay MacDonald in 1924 [the letter was a forgery]. See Nottingham Evening Post 20 March 1928 for follow up discussion in the Commons. ZINOVIEV LETTER ECHO. Mr. C. D. Im Thurn Buried Near Glastonbury. AIR OF SECRECY. Few people knew of the funeral yesterday of Mr Conrad Donald Im Thurn of 'Zinoviev Letter' fame, which took place at Butleigh, near Glastonbury. Precautions were taken to keep it as private as possible. Donald Im Thurn died at Eaton Terrace, London, after a year's illness. Mr Im Thurn, who was responsible for the publication of the letter on the eve of the General Election of 1924, was aged 47. Mr Baldwin revealed Mr Thurn's part in the disclosure when, in a speech in the House of Commons on March 19, 1923. he replied to a motion put forward by the Labour Party after the 'Francs case' that there should a further inquiry into the of the document. The "letter," which urged civil and military insurrection in Britain, was stated to have been sent to the British 'Communist Party from Moscow. Choir Boys' Instructions. The grave was lined with moss and primroses, but there were very few floral tributes. Mr Im Thurn having expressed a wish there should be none. He also expressed a wish be buried at Butleigh. The body was brought from London by train on Tuesday evening, and arrived at Castle Cary. It was then taken to the church, where it remained all night. The service yesterday was fully choral. An air of secrecy existed during the past few days, and although the 14 choir boys were instructed not to divulge anything, they were warned to be in their places at the church at 2.30 yesterday. The bearers were four local ex-service men. The chief mourners were the widow. Miss U. Y. Im Thurn (daughter) Mr. I. D. Im Thurn (son) Mr. Herbert Im Thurn, Miss Margaret Im Thurn, Mr. Richard Im Thurm, Major H. B. Clark. O.B.E.. M.C. (brother-in law) Mr L. Clark, Mr and Mrs Kopple. Mrs. M Ashcroft. Mrs E. Gilbart-Smith, Col. R. Warrv, and Mr Karl Hinde. The squire's wife. Mrs Neville-Grenville was also in the church. 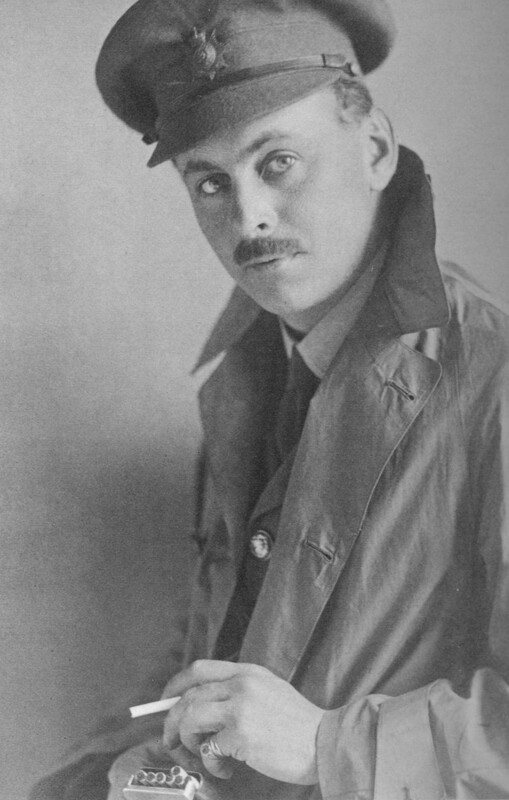 Mr. Im Thurn was attached to the War Office during the war. A Margaret Indoe of Barton St. David married William Tucker of Butleigh on 12 Feb 1822 – probably Aaron's sister. It is possible that more children born in Barton or elsewhere might be expected. 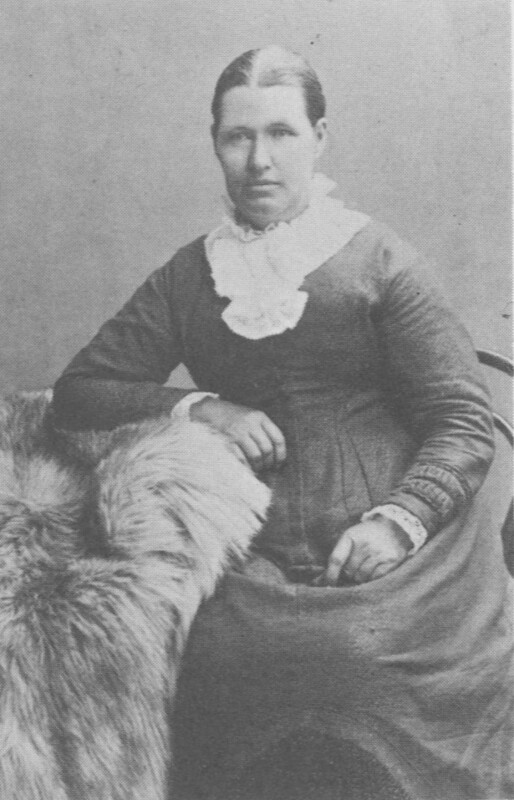 A Sarah born Warminster died aged 2½ bur. 18 Mar 1813 – possible child of this couple. In the 1827/28 poor rate assessments Aaron is shown as ratepayer in Butleigh in a property noted as belonging to Mrs. Elizabeth Hood. Aaron and Sarah lived in Kingsdon in 1841 but Aaron was a widower by 1851 when he lived in Kingsdon, farming 348 acres. Edwin was still with his father in Barton in 1861. Aaron died in 1880 aged 92. An Eliza Indoe married in 1850 (Mar Q 10/635 Langport). Sarah married farmer John Whittle (b. 1807 Babcary) on 30 Apr 1849 (Jun Q 10/673 Langport) barton St. David, and they lived in Barton St. David in 1851 with Fanny listed as 'visitor' though probably Sarah's daughter. Francis when aged one was staying with farmer Joseph Richards at Lower Hill Farm on Butleigh Hill in 1841. In 1851 she was a visitor living in Barton St. David, with the Whittle familyand in 1861 lived with Aaron above in Kingsdon. Two Frances Indoes married in 1860/2. One married in 1860 (Sep Q 5c/643 Langport) Thomas Sugden (b. 1803 Greenwich) who became an infant school governess in Barton St. David. This Fanny is probably the one who married George Knight Bolls/Rolls in 1862 (Sep Q 5c/691 Langport)? 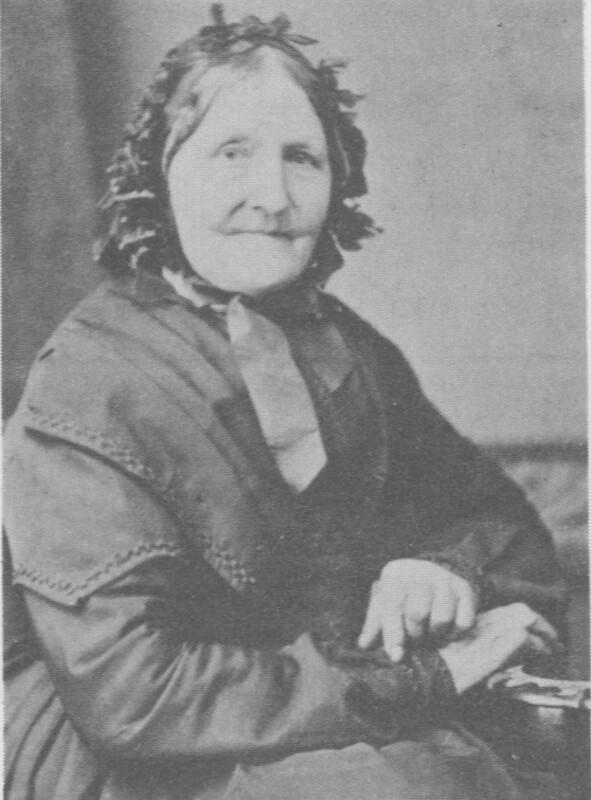 Fanny, granddaughter of Aaron was staying with a Joseph Richards in Butleigh in 1841 and Lucy Richards (b. 1806) wife of William) and her daughter Maria lodged with Aaron and Elizabeth in Barton St. David in 1841. No deaths recorded – emigrated? In 1861 Edward and his family lived in Silver Street, Barton St. David. In 1863 Edward (junior) was tenant of farm house and 36 acres of land put up for auction at Barton St. David [Wells Journal 28 Mar 1863] Emigrated to America c. 1870. An Edward Indoe appears in Gosling St., Barton with an Edwin Indo in Kelly's 1889. 3) James Indoe – from 1815 – 1816/17 a James Indoe (Jas – could be Joseph Andoe?) was the occupier of Mrs. Penny's property – thereafter occupied by James Brewer. The children's mother Sarah Ann had died of bronchitis in 1880 aged just 27. On her wedding CERTIFICATE though she signed as Sarah, the Rev. William Neville mistakenly wrote her sister's name Elizabeth! Bessie, Frederick and Sarah J. then lived with their 'uncle and aunt', William and Delia Ingram, at Churchill, North Petherton in 1881 - though they should have been called grandchildren since their father John Ingram (30) widower was also staying with them and is called son. Another niece was Louisa (b. 1877) and nephew Frank b. 1880, both from N. Petherton, who also stayed with them (the latter being no. 6 above). Frank became a coal miner in Wales and married a Kate Masters d.o. Isaac and Clara (née Tamblyn) Masters – Frank died 13 Jan 1911 (Mar Q 11a/292 Pontypridd) aged 31. In 1891 Frederick surfaced with John, his father and the latter's new wife, Mary living at Lyng, Somerset. Confusingly, Frank, previously given pob as N. Petherton is also with them, given as Butleigh born, plus two new children, Emily (6) and William J (2) born in Lyng. In 1901 John and Mary living at Bankland, N. Petherton had sons William b. 1889 Lyng and Walter b. 1892 Lyng living with them. John died in 1910 and in 1911 just Mary and William resided together. Bessie was a servant in Swell 1891 and in Burnham in 1901 and at 'St. Leonards', Church St., Highbridge in 1911.. Sarah J. was a visitor at Mill Cottage, Monksilver, Som., the home of Albert and Rachel Snell in 1891. As Lucy she married carter Charles Pratt in 1901 (Dec Q 5c/673 Bridgwater) and in 1911 they lived in Highbridge with two children, both born in Manchester. Robert was a plasterer like his father. His parents still lived in Ilchester in 1841 (with a son Joseph) but by 1851 were in the almshouse, Ilchester where they died in 1851 and '52. Robert and Marianne lived in Street in 1841 together with son Robert (aged 8) and daughters Mary Ann (10) and Jane (4). Jane died in 1847 and in 1851 Robert and Mary Ann lived at 12, Fordstream, Street together with daughters Mary Ann and Sarah Jane (aged 1) who also subsequently died in 1857. They were still there in 1861 and being visited by their son James' wife Maria and two children, George and Sydney. They were alone in Street in 1871 but Robert died in 1876 and Mary Ann in 1880. William, James and Eliza appeared living with Edward and Mary Mogg in 1841 at King Sedgemore farm and were relatives as well as servants. William may have been a cousin. In 1851 Eliza, described as niece was still with them while Robert and James lodged with James Craft in Butleigh where they were employed as labourers. 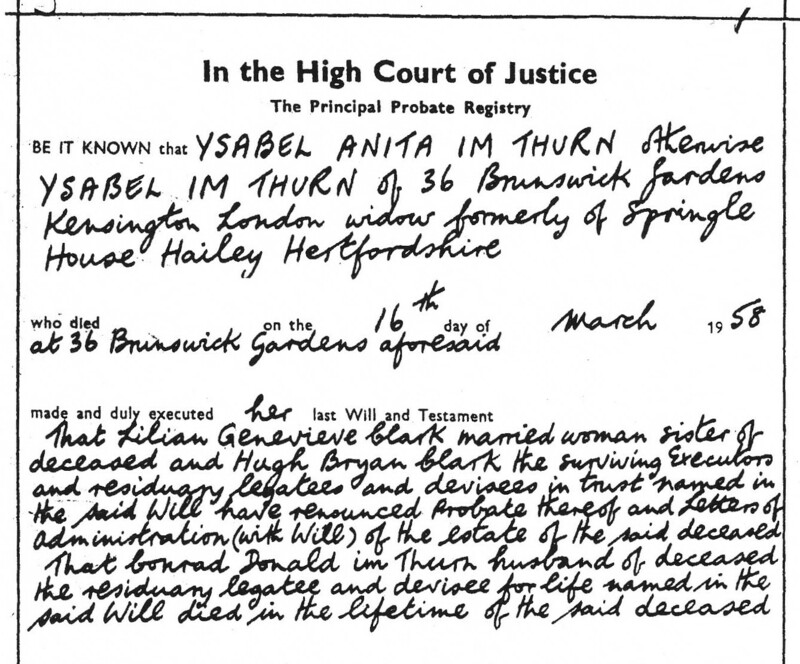 Robert married Harriet Jones (b. 12 Dec 1834, d.o. Richard and Charlotte [née Churches] Jones – of Meare) PHOTO on 24 Oct 1852 in Street. With their son Edward (b. 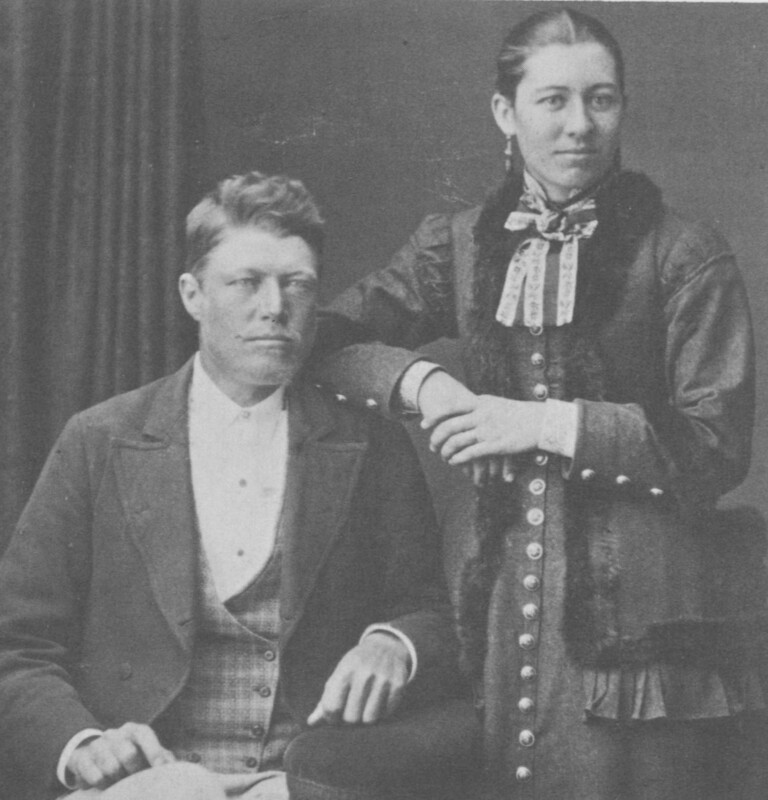 1853 Mar Q 5c/642 Wells) PHOTO (with wife Jane Brown) they left from Plymouth on 20 Sep 1853 aboard the “David Malcolm” and settled in South Australia. The couple had in total twelve children. Their son Edward died aged 35 from complications after being thrown from a horse he was trying to break-in. Robert's sister Mary Ann married George Badman in Street on 4 Oct 1853 (Dec Q 5c/1131 Wells) and they too sailed to Adelaide from Bristol on 10 Mar 1857 aboard the “Gilmore”. William isn't traced after 1841 is probably a nephew rather than a child of Robert.. Eliza Ireland married Edwin Weech/Witch on 7 Apr 1855 (Jun Q 5c/677 Bridgwater) and they had a son Edwin b. 17 Nov 1855 at Shapwick. The family emigrated to South Australia from Plymouth in 1857 aboard the “Carnatic”. They firstly lived in Adelaide near Eliza's brother Robert Ireland. The couple had three more children before Eliza died giving birth to a son (who also died) on 27 Jul 1866 at North Shields near Port Lincoln..
James Ireland born in Ilchester was in Butleigh Wootton in 1861 while his wife and children visited his parents in Street. In 1857 he had married Maria from Mells and by 1871 they lived at Turf Moor, Glastonbury with four children, the eldest two of which were listed as born in Butleigh - George b. 1859 and Sidney b. 1861 though only Sidney was baptised there. From 1881 they farmed at West End in Street. The three sons of James and Maria all emigrated to upstate New York in the 1880's while Mary married Maurice Davies of Street in 1892 and their descendants remained in Street..
Sydney (called just James) lived in 1871 with his parents at Turf Moor Glastonbury. His father was a farmer of 30 acres. Sidney James lived with his parents at West End, Street in 1881 - his father farmer of 20 acres. 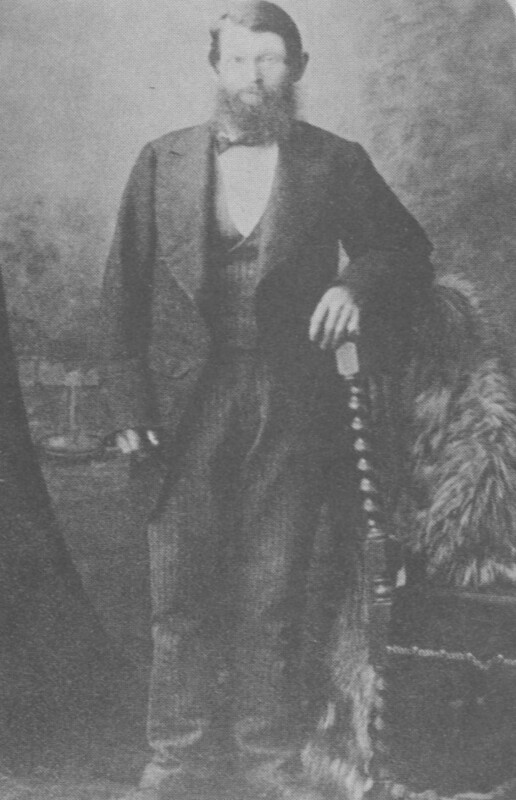 He may be the Sidney Ireland who later married Emma Isaac in 1882 (Mar Q 5c/752 Wells). They emigrated to New York as stated above. In 1881 the family lived at 12, Swell Place, Heavitree, Exeter. By 1891 they had moved to Richmond, Surrey and lived in the "Black Horse" Public House, Marshgate where John was now a licensed victualler. Interestingly, his daughter Clarice was a photographer while Una was a barmaid. Dora married the cashier/blindmaker Herbert Sidney Leighton in 1900 (Mar Q 2a/575 Richmond) and they lived at 5, Dorncliffe Rd, South Fulham. Olive married [William H. Brearley?] in 1905 (Jun Q 1b/1051 St. Giles). There were six Isaac marriages between 1749 and 1811, all the men having the same forename - William! This burial is not designated as that of a child [seemed likely to be the son of William and Ann but that John surfaces on the 1851 census] and is probably an adult. Married II? : Butleigh 22 May 1755 Mary Oldish bur. 5 Mar 1781 Butleigh? A Mary Vering had an illegitimate child, John Castle Veiring Chr. 13 Dec 1745 Butleigh illegit. child by John Castle and she seems to be the only Mary Veiring living in Butleigh at that time. A Mary was buried in 1754 and this could be Mary Vering, in which case Mary Oldish would be William's second wife and the children 3-5 hers [unusual that two children called William if only one father]. The Mary who died 1754 may be a child of the above couple or an even older adult. In 1754 William Isaac had his rent paid by the OOP and again in 1756/7, 1757/8, 1758/9, 1759/60, 1760/61, 1761/2. In 1762 the OOP paid Dr. Rocke for delivering his wife of a child, and William's house rent paid. Rent paid in 1763, 1764/65. 7) James Chr. 21 Jan 1788 Butleigh, bur. 10 Apr 1788 Butleigh? A William was paying farm rent in 1786 and 1789 - this or next? Assuming that Mary didn't die (in 1781) then she seems to be the person who married John Phelps of Meare in Butleigh on 14 Apr 1795. Maria married James Jelly in Butleigh on 8 Oct 1805. Ann married John Gould in Butleigh 1 Apr 1805. Martha married George Scott junior in Butleigh on 5 Apr 1813. Hannah married William Jelly of Frome Selwood in Butleigh on 19 Aug 1816 and she died in Frome in 1830. William was Overseer in 1796, 1801/2 and 1807 for the Hood estates. In Sep 1796 William Clarke was paid for hauling potatoes from Butleigh Hill to William Isaac. [In Mar 1817 a William's wife was ill and an order was taken out for William's removal – but which William?]. A William Isaac (Junior) paid 22 weeks bastardy to the OOP in Sep 1801, the costs of lying in and £1 0s 6d for his wife. He paid bastardy pay to the OOP 1802 (5 months and 1 week, then 6 months). This was for the child of Deborah Willcox – Sarah Chr. 18 Jan 1801 Butleigh. In 1803 he paid 4 months. [not certainly this William] Deborah Willcox received the pay from Feb 1801 – March 1811 (4/- per week). In Jun 1801 aid was paid to William Isaacs junior's wife. In 1809 William Isaac junior paid 7 months bastardy. A William Isaac [not called junior(?)] fathered an illegitimate child by Grace Birch in May/June 1810 – probably the child William Birch. William sent to Somerton to be examined in April 1812 - he is noted as having paid bastardy pay in 1814, 1815, 1816. Grace received 6/- bastardy pay from July 1810 until January 1822. In Feb 1814 William was summoned to Somerton to attend justices meetings and again in March 1816. In Sep 1816 William was committed to Shepton Mallet. In May Mr. Welch paid for 'spinsthering' the order of Wm Isaac - and carrying them to Shapwick. A summons issued for William Isaac in Jan 1818. Betty married Joshua Andow in Butleigh on 23 Jun 1823, the probable father of Betty's son William Issac. # They lived togethe and had three more children together and William took his father's surname – see under Andow. Jane Curtis is probably the person who had two illegitimate children christened in 1773/4 [both called Jane and both died in infancy]. A Jane Isaac began paying rates in Butleigh in 1819/20 and was still there in 1828+. In 1821 she also paid rates on a property in Butleigh jointly with John May. William Isaac senior received aid in Oct - Dec 1785 and up to March 1790. From March 1793 Jane Isaac received fairly regular aid from the OOP. In Mar 1797 it was noted as for 'Jane and son'. In Aug 1802 a payment made to Jane's son and in July 1803 George Chant's bill regarding him. In March 1829 Hannah Curtis was paid for attending on Jane. The last payment to Jane was in August 1831. In August 1806 the OOP paid assistance to Edward Isaac. John and Sarah appear in St. Cuthbert, Wells in 1851 with their grandson William Isaac. John was a farmer of 8 acres. In 1841 they had also had another grandchild Edward with them. 3) William Chr. 19 Aug 1817 Butleigh (6)? A William Isaac began paying rates on two properties in Butleigh (alongside Jane Isaac) in 1819/20 and was still paying beyond 1827+. This included his house in Water Lane. William was paid for reed and thatching turves in Nov 1807. William and his wife lived in Godswell Lane, Street in 1851 with children Elizabeth and Charles plus daughter Jane who had married John Christopher at the Weslyan Church in Glastonbury on 15 Sep 1850. By 1861 just Honore [Honour] and Elizabeth lived together, at 11 Godswell Lane, Street. There may have been more children between William and Jane. William was an inmate of Stepney Union Workhouse in 1881 – place of birth Butley, Somerset. Possibly the William Chr. 12 Jan 1812 Butleigh. Elsie married baker George Dredge of Kewstoke, s.o. Uriah Dredge in Butleigh on 17 Dec 1909 (Dec Q 5c/1001 Wells) and in 1911 they lived in Rodway, Banwell, Weston Super Mare. They had at least two children, Cecil George b. 5 Apr 1912 [became a police officer, d. 17 Apr 2002 (Apr 7241a/A73b/214/402 Taunton)] and Eileen P. b. 1916. In 1911 William and Jane lived with their two youngest children at the Police House, 66 Butleigh. Ivy May married New Zealander Campbell William Thomas in 1917 (Jun Q 2a/119 Chertsey, Surrey) having met him whilst he was recovering from injuries received in WWI. After the War they lived in New Zealand. Son William married Jeanette E. Tucker in 1918 (Mar Q 5c/836 Axbridge). 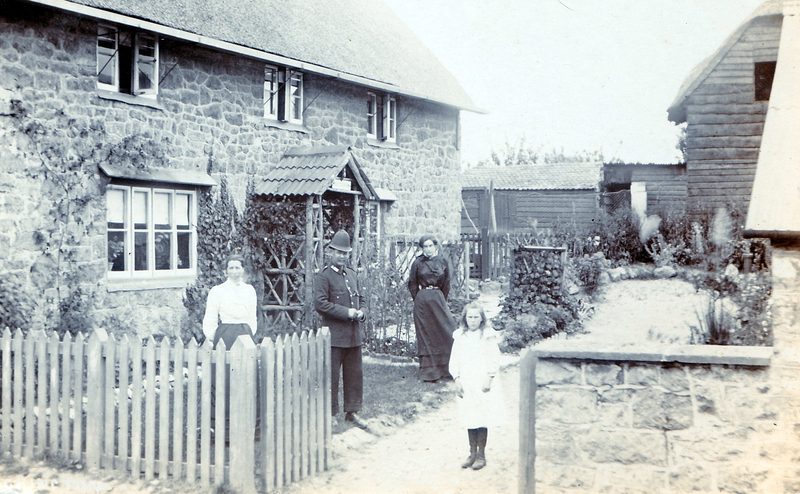 PHOTO of William and wife Jane (rear) with daughter Ivy as a child before the Police Station, Puckington. Appointed as a non-servant gamekeeper for Butleigh by John Hall of Butleigh House [Court]in 1832, 1833 and 1834 [Bath Chron. 27 Sep 1832, Taunton Courier and Western Advertiser 11 Sep 1833]. In 1831 the gamekeeper had been James Stubbs. In 1832 surname given as Izzardy. Possibly the John Izard buried 14 Dec 1842 Montacute aged 84. Possibly one of the John Izzards from Aldbourne Wiltshire.